Rabbi Moshe Yehuda Leib Landau served in his position for 32 years and operated a kosher-certification supervision organization, in addition to overseeing other religious issues for the city. 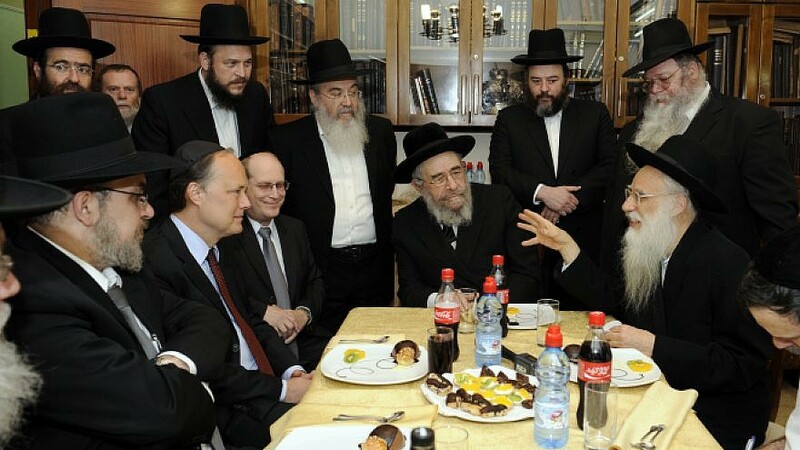 Sitting from left to right: Mayor of Bnei Brak Rabbi Yaakov Asher, U.S. Ambassador James B. Cunningham, Rabbi Aaron D. Davis, Bnei Brak Chief Rabbi Moshe Landau and Rabbi Menachem Mendel Safran, Feb. 23, 2010. Credit: Matty Stern/U.S. Embassy Tel Aviv/Flash90. (March 31, 2019 / JNS) Chief rabbi of the ultra-Orthodox city of Bnei Brak, Rabbi Moshe Yehuda Leib Landau, passed away on March 30 at the age of 84. Th rabbi passed away at Laniado Hospital in Netanya on Saturday night following a stroke. He was hospitalized after becoming ill with an infection earlier in the week.